happy new fall, friends! this is such a beautiful time of year in ohio...bundle up mornings with sunbathing afternoons...greens fading to burning colors every which way you look...confetti leaves and burn pile breezes. every changing season feels like a chance to start anew, but the autumn months especially so--these last few fleeting months of a too-quickly gone by year. anyways, there's just something about this time of year that has me making a thousand to-do lists and finally start seeing those cobweb corners forgotten about all summer. now,s the time for leaving those cobwebs- halloween is just around the corner. lovely photos! a new season is always so motivating. happy autumn, lady! 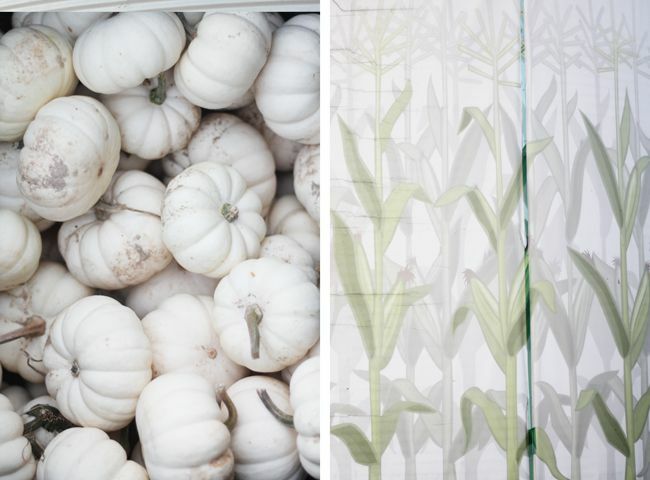 I love that photo of the white pumpkins. I want to decorate with them but they are so pricey! How I do love Autumn! 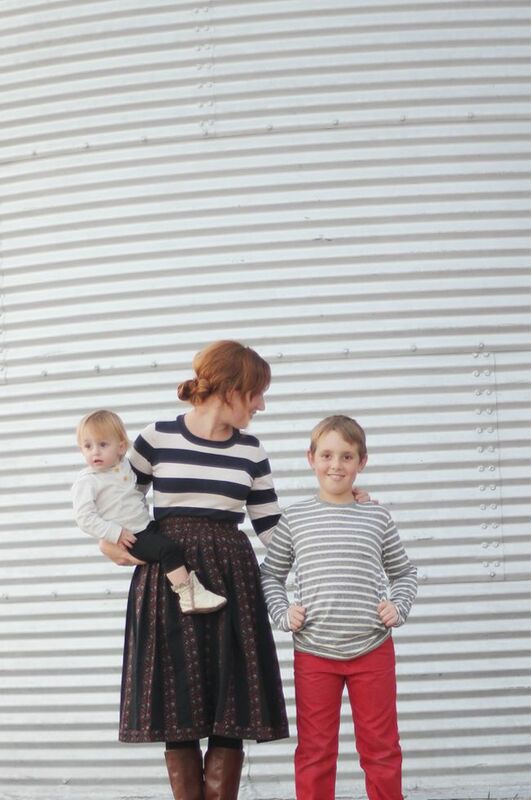 What an adorable little family:) I love your outfit! Is that the Carters wiener dog sweatshirt? We got one too and love it! I love the white pumpkins and your outfit! 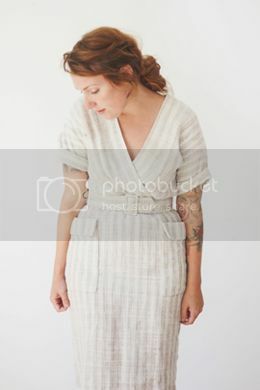 a beautiful color palette on these images here. also: yay for mixing prints in outfits! and last: this is a great post title, kudos. little bee is getting so big. please freeze this moment! it only means my littles are growing all too fast as well. Very cute family - and hooray for autumn! great look of yours - and love your girl her eyes! love your outfit, mama. and max! he looks so grown up! happy autumn lady stratton! love your pics, you love for your family & friends that always reaches my home here in germany! lovely pics and brilliant paintings! warm greetings from germany!